What causes one's personal beliefs to change? Most times it's because their way of thinking changes, be it through maturity or the presentation of new information. But sometimes it could be something as possibly insignificant as where they're situated. 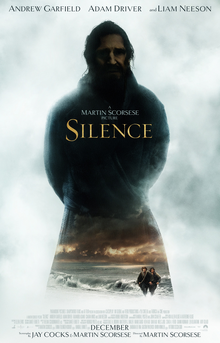 Set in 17th century Japan, Silence chronicles those of the Christian faith in a time where the religion was banned throughout the country. It's a dangerous passion for those who hold the Bible near and dear to their heart. And those caught embracing it face cruel punishment. Shūsaku Endō's novel is told through changing perspectives but its grasp on the concept of belief doesn't let go for a second. Even when it's questioned, the devotion outweighs the doubt immensely. Endō shows with his words how when under complete duress, one's opinions can shift for the sake of saving their life. And who else than Martin Scorsese to adapt a novel about religion? There's something about the combination of Endō's words and Scorsese's vision that makes for a stunning result. (Rodrigo Pietro's cinematography adds to this combination.) Though why white actors were cast as the three Portuguese leads just shows how skewed Hollywood's priorities continue to be (though Andrew Garfield, Adam Driver and Liam Neeson were good). 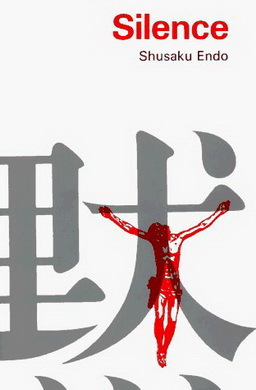 So what's better: Endō's novel or Scorsese's film? Both depict how religion has always been a controversial subject throughout history but the film -- perhaps because Scorsese's at the helm -- shows how it can be the center of one's life. Still, both creators tell a story of personal conflict amid dangerous times.